AdaMULTI for ARM contains tools needed to complete major programming projects, such as launcher, project manager, editor, source-level debugger, EventAnalyzer, run-time error checking, code coverage analysis, TimeMachine tools suite, performance profiler and graphical browser. AdaMULTI development environment components are aware of each other and communicate among themselves. It runs on Windows, Solaris and Linux hosts and supports remote debugging for a variety of target environments. The AdaMULTI environment can also be used with compilers that adhere to ARM Procedure Call and EABI standards. It supports a wide variety of real-time operating systems (RTOS), and because the AdaMULTI environment is fully RTOS-aware, designers can debug and tune their applications at the task level. It is particularly well suited to debugging multi-tasking programs and systems that employ multiple processors and cores. 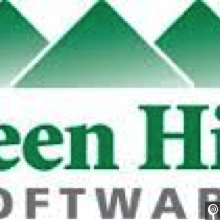 Green Hills Software's customers can rehost their existing Ada95 based applications with the new compilation environment. Additionally, some new features that have recently been added to the language are also included in the new release. The AdaMULTI development environment for ARM is available now for ARM processors including Cortex-A and Cortex-R series and ARM7TDMI.